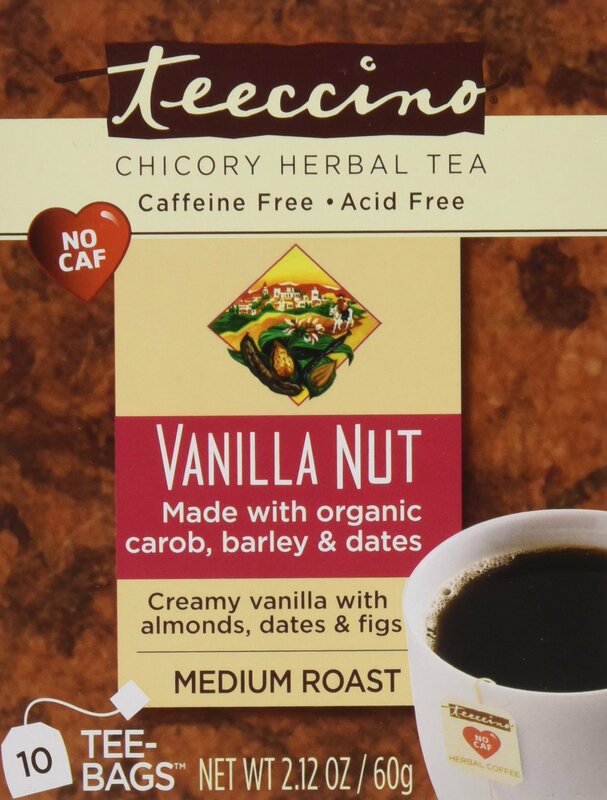 Home › Home and Kitchen › Teeccino Vanilla Nut Chicory Herbal Tea Bags Caffeine Free Acid Free 10 Coun..
Teeccino Vanilla Nut Chicory Herbal Tea Bags Caffeine Free Acid Free 10 Coun.. Flavor: Vanilla Nut | Size: 10 Count (Pack of 6) Vanilla, the only orchid used in food, has become a favorite the world overdue to its unparalleled fragrance and complex, heady flavor. Vanilla isindigenous to central America where it was discovered by the native peoplecenturies before the Spanish arrived. The Aztec emperor, Montezuma, was saidto be drinking an elixir for longevity made from cacao, vanilla and honey whenthe conquistadors were ushered in for an audience. Great for home consumptionor to serve as a coffee alternative in a restaurant.